Today one more. It is about IoT. "Internet of Things" is a buzzword. In fact, IoT and 5G are like two sides of single coin. 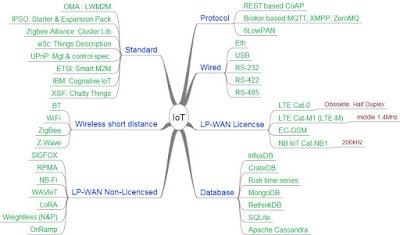 There are many standards related to IoT defined by various standarisation bodies. These standards are for wired connection and wireless connection. The wireless connection is also referred as Low Power Wide Area Network (LP-WAN). It is further categorizes licensed spectrum and Non-licensed spectrum. 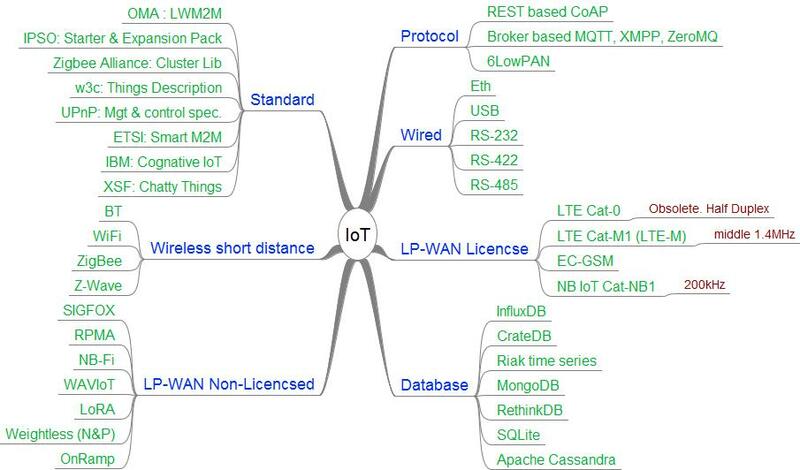 IoT is also about many protocols used. The IoT application uses database with specific set of features. A mind map is a diagram used to visually organize information. A mind map is hierarchical and shows relationships among pieces of the whole. It is often created around a single concept, drawn as an image in the center of a blank page, to which associated representations of ideas such as images, words and parts of words are added. Major ideas are connected directly to the central concept, and other ideas branch out from those. I was about to draft you an email for all these new buzz words as completely out of touch. and here is your short and sweet blogpost. will email you in next 2-3 days.